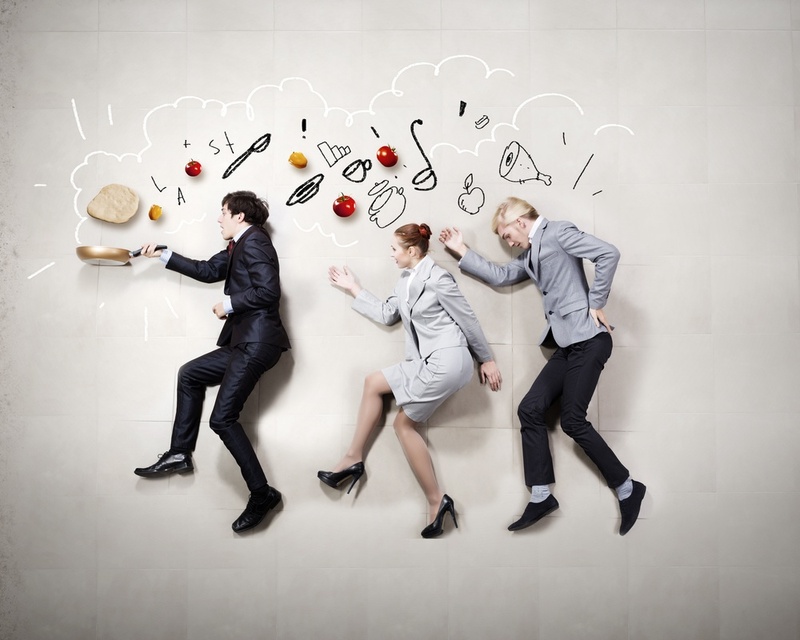 Content is the main ingredient when you’re cooking up a luscious digital marketing strategy. Just like how a chef works with different ingredients, you can work with varying types of content to entice your customers. Short for “weblog,” blogs function both as a type of content and a channel to publish that content. This makes your company blog an excellent hub for all of your other content. As a channel, a blog is a homemade meal to social media's restaurant. Preparing all of your ingredients seems like a hassle at first, but you get to decide how your blog looks, feels, and tastes to give it a personal touch that serves you and your audience. We've talked before about how newsletters can grow your business, but it's also a great piece of a digital marketing strategy. When paired with other content, like a review of your month's blog posts or promoting your latest e-book, personalized newsletters make for a compelling one-two punch. Newsletters are a place where you can talk directly to one customer instead of having to feed an audience. This makes them intensely personal and a great way to connect. For those customers who want a more in-depth look at your product or service, a white paper can both explain complex topics and position you as a thought leader. White papers work for an audience that is just starting to get interested in your product or service but doesn't quite know how it will fit into their life. Entice them with expert knowledge in an easy-to-digest format, and they'll be lining up around the block to try your dish, er, business. Articles are a flexible medium that a PR pro can help place in targeted publications. Contributed articles are an opportunity for your business to address issues, trends, concerns, and the topics that your target audience is talking about. The right PR partner will know the best outlets to publish your articles so you build your credibility and thought leadership in the eyes on self-selected readers. More in-depth then a white paper, an e-book can explain multiple topics and provide an excellent incentive for your lead-gen machine. A key point of digital marketing strategy is offering content of value to potential leads to gain their information and trust. Dedicated e-books provide a lot of that value to your audience, and can be from re-purposed content, like white papers and blog posts! Add a dash of story to the first-person authority of a testimonial, and you've got a case study that builds trust and credibility. The simple three-stage format of a case study (challenge, solution, results) is a bite-sized piece of relatable content that a customer can consume. It lets them see and imagine what you can do for them. The best part is that you can post case studies on your blog, website, direct mail, press kits, even give out as sales handouts. Infographics, with their combination of information and aesthetics, are a great stand-alone piece of content, but also add flair to a blog post or article. Always a great tool to have in your back pocket in this fast-paced world, infographics provide at-a-glance information that is inherently social media friendly. Think about pulling some of the information from a white paper or article to use in your next eye-catcher. A classic piece of content, a proper press release will never go out of style. Like a good soup stock, press releases can form the base for other types of content (inspiring a blog post) and deliver others (letting people know about a new white paper). Don't be afraid to be creative with your story while providing the facts. Just because it's news doesn't mean it has to be boring. A healthy digital marketing menu has a variety of content that play off each other in order to drive lead-generation. Click below to talk to one of our PR pros today about which types of content work for you. Read timely tips for PR and Digital Marketing. The experts at SKC have decades of experience in promoting and elevating companies to higher levels of visibility and success. Subscribe to get the latest ideas on how to get from where you are today to where you'd like to be tomorrow. © 2018 SKC inc. All rights reserved.